Absolutely no dairy…or should we say, No Cow! 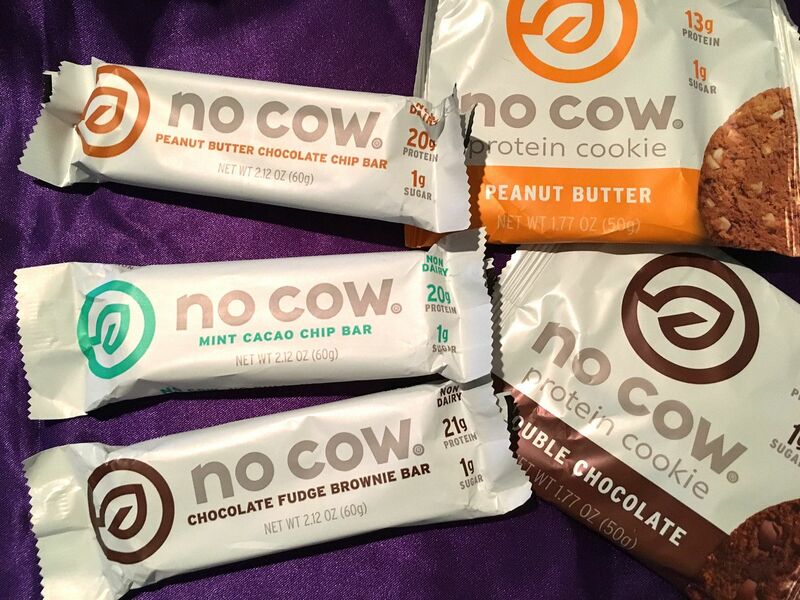 Yes, the folks at No Cow have created bars and protein cookies that are free of all dairy products including whey protein, so vegans will be very happy with this option. All the bars (8 flavors) and cookies (4 flavors) are surprisingly low in sugar with only 1 gram per serving and are gluten free, soy free, and use only non-GMO ingredients. The bars have 20-21 grams of protein and the cookies have 12-13 grams of protein, and a fair amount of fiber as well. The protein is from a brown rice and pea protein blend and some nuts added for good measure. The texture is soft, chewy, and moist. For high quality protein without the sugar, refuel with No Cow!